All Talty homes currently listed for sale in Talty as of 04/24/2019 are shown below. You can change the search criteria at any time by pressing the 'Change Search' button below. If you have any questions or you would like more information about any Talty homes for sale or other Talty real estate, please contact us and one of our knowledgeable Talty REALTORS® would be pleased to assist you. "Immaculate Custom built home; beautifully decorated wth designer colors & lighting. The entry takes your breath away wth the curved iron baluster staircase & 2 story foyer. The gourmet KIT. has furniture quality cabinetry, a gas cooktop, large bar island, WI pantry...The FR wth soaring ceilings, corner stone propane FP & floor to ceiling windows take you out to the backyard oasis wth an outdoor KIT. a built-in bbq, frig. & keg. Enjoy the covered outdoor LR by the lagoon pool wth water falls. Pr"
"This SPECTACULAR 6 Bedroom, 4 Bath home with pool is amazing! 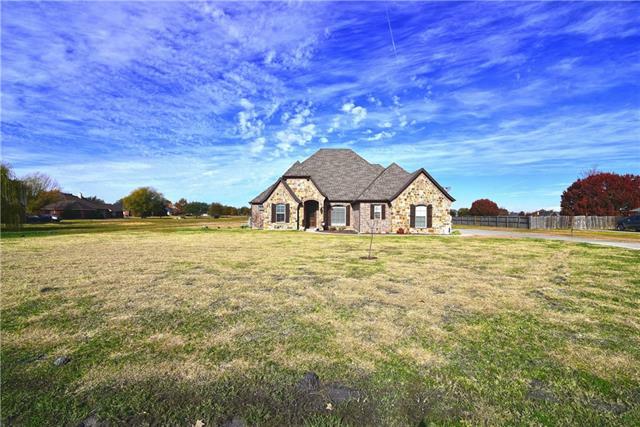 On over an acre corner lot, in Forney ISD you couldn't ask for more! The home is custom built with a beautiful floor to ceiling stone fireplace, hardwood floors, large kitchen with double ovens and oversized bar island. With the upstairs second living there is so much extra space to be anything you want, game room, playroom, media room, the list goes on! You can enjoy the backyard this summer while sitting on the second story balcony "
"Outdoor Living at it's best! Spacious brick home on beautiful landscaped lot. Well lit open floor plan with upgrades throughout! Granite counter tops, wood floors, light fixtures and more. 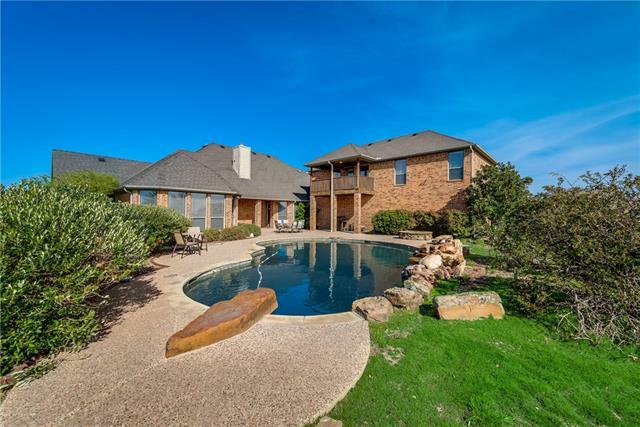 This 4 bedroom 3 bath with game room on 1.1 acres features an incredible saltwater pool and spa, 3 car garage, detached 30x24 air conditioned workshop, wrought iron fence and landscape lighting. Roof less than 5 years old. 19 Seer AC unit. Backs up to 80+ acres of farm land." "NEXXUS custom home with modern design! Impressive front elevation! Neutral grey tones throughout! This fabulous home features a one-story design with two large living areas, open kitchen concept, and split bedrooms! The kitchen features painted cabinetry, granite, large prep island, double ovens, glass front display cabinets, and huge walk in pantry! Elegant formal dining features hardwoods! Private study! Great master retreat with sitting area and luxurious bath featuring separate vanities"
"Why wait for a new build? This barely lived in one story home built by Crescent Builders is available for you. This home has so many luxury features; wood floors, beams on the ceiling, granite counter tops, double ovens, stainless steel appliances and oversize covered patio. The master bath is large with a separate shower and clawfoot tub. The study has double french doors with wood floors and plantation shutters. The kitchen has an oversize island and custom cabinetry. 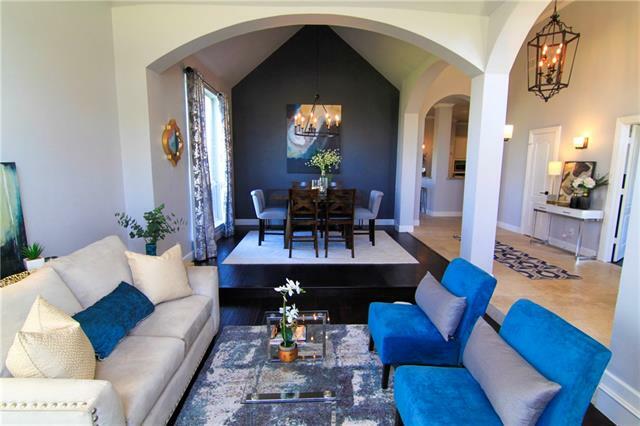 The 3 car garage is"
"Another Fully Remodeled home designed by J. Marie Interiors! 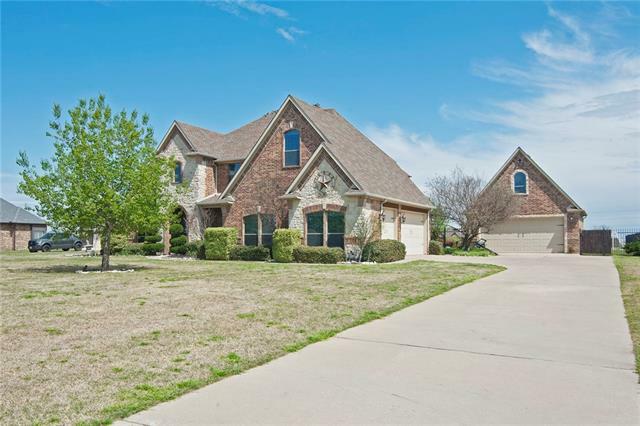 Home is located in Forney ISD, and sits on an acre lot. You'll be welcomed home by travertine and hardwood floors accented by oil rubbed bronze hardware and updated designer lighting throughout. Kitchen and baths have all been updated with matching granite countertops and designer tile backsplash and tub surrounds. All bedrooms are down and there is an upstairs tucked away that's perfect for a media room, game room, or lounge as it's "
"Beautiful custom home on over 1 acre with no MUD tax! 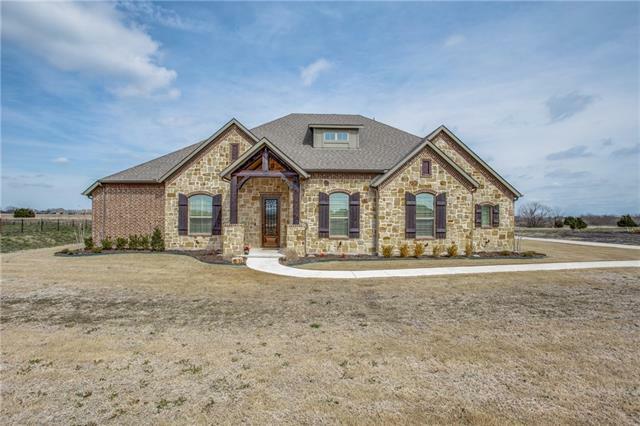 This beautiful home features stone elevations, large covered patio, large covered porch, TWO master suites, 1 story, large stone fireplace with hand-scraped hardwoods, granite counter tops with a large breakfast par, 3 full baths. Buyer to verify all information. 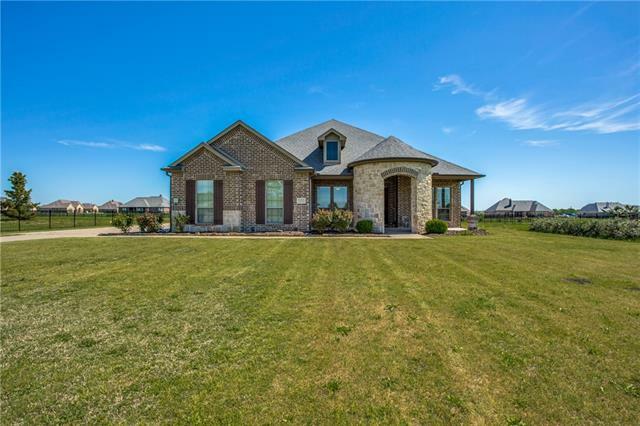 Forney ISD"
"BEAUTIFUL CUSTOM PETRA HOME IN WINNER'S CIRCLE ON ACRE LOT. HOME FEATURES 3 BEDROOMS WITH STUDY, UPSTAIRS GAMEROOM, & 3.5 BATHROOMS. KITCHEN FEATURES GRANITE, STAINLESS APPLIANCES, & GAS STOVE. WOOD FLOORS IN LIVING ROOM & STUDY.LAUNDRY ROOM CONNECTS TO MASTER CLOSET.$7,000 UPGRADE IN FOAM INSULATION IN WALLS & ROOF. VINYL ENERGY EFFICIENT WINDOWS. UPGRADED 15 SEER AC UNIT. FORNEY ISD."